Kikkoman, the world market leader in the manufacture of soy sauce is running an exciting on-pack promotion in the UK giving away holidays to Japan. The aim is to drive sales of Kikkoman Soy Sauce by bringing new customers in and increasing consumption and frequency of purchase. 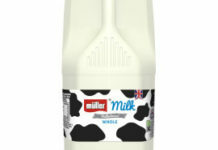 Specially designed neck hangers will appear on Kikkoman 150ml and 250ml bottles in major retailers carrying the holiday promotion. 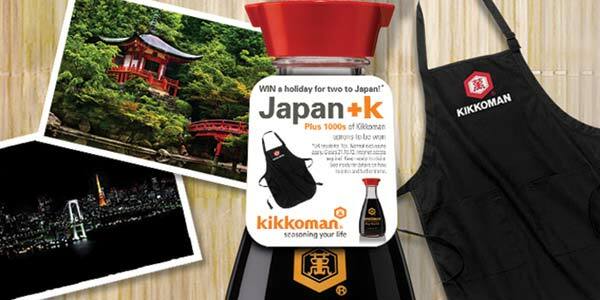 Consumers are invited to visit a Kikkoman microsite and enter a unique code found on the neck hanger to be in with a chance to win one of 25 holidays to Japan or one of 25,000 Kikkoman branded aprons. Two targeted door drops, via local newspapers as being carried out in July and September highlighting the campaign and including a 50p off Kikkoman Soy Sauce coupon. The promotion went live on 23rd July and will run through until 21st October on 150ml and 250ml bottles of Kikkoman Soy Sauce. Support of the promotion will take place on Facebook and Twitter.